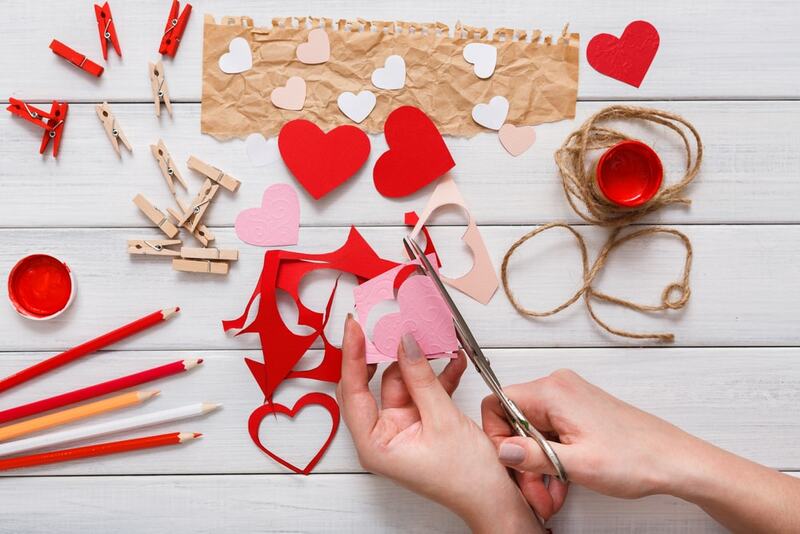 While hearts represent a classic theme for Valentine’s day, incorporating them into your decorations can very easily create a tacky impression. There are lots of heart designs out there that may look too childish or simply out of place depending on the surroundings. If you wish to be more creative when using hearts and deliver some classy vibes with your décor, the following ideas should prove very helpful. 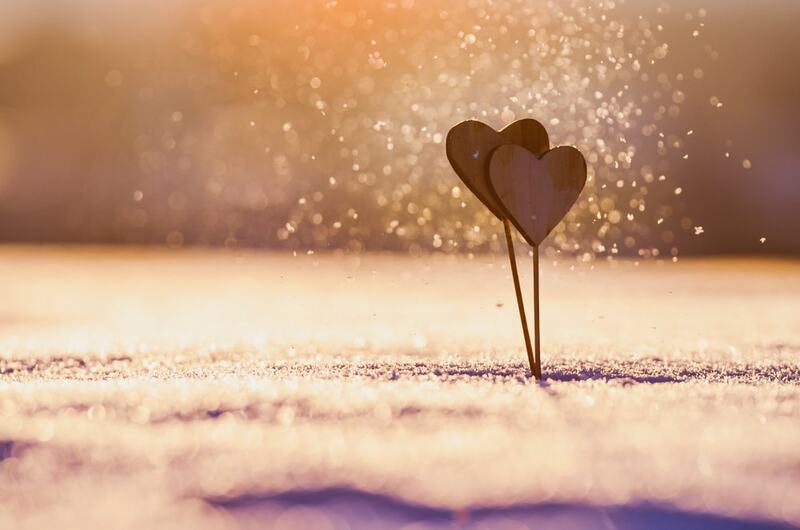 Hearts can be used to celebrate Valentine’s day with some lovely decorations, but they don’t have to be restricted only to this day. Year-round heart décor can be pulled off if you’re careful about the way you’re using this motif to create a harmonious look. 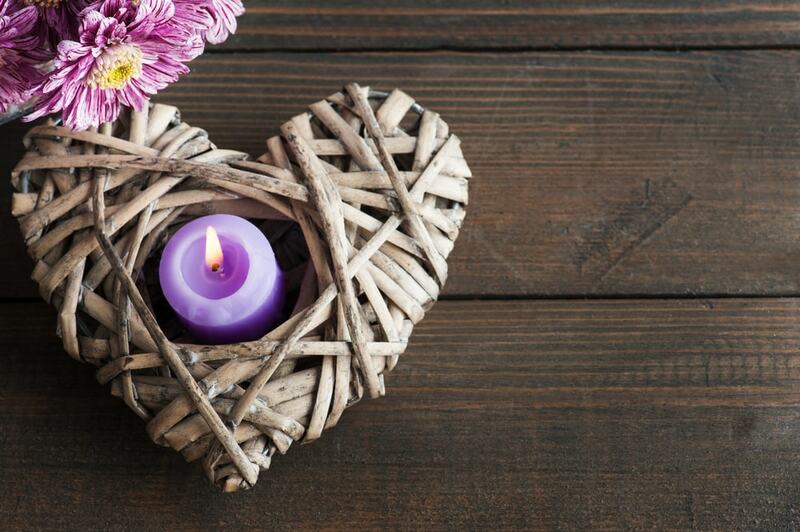 Take a look at some of the most inventive methods to add heart-shaped creations to your home décor. Hearts are quite bold elements so you can pair them with neutrals with the help of frames to pull off a successful look. Art collages tend to appear more mature and you can use a similar approach to incorporate heart themes in a subtle way. If you want to create a more exciting look, consider picking multiple different-sized frames to add some funky vibes. 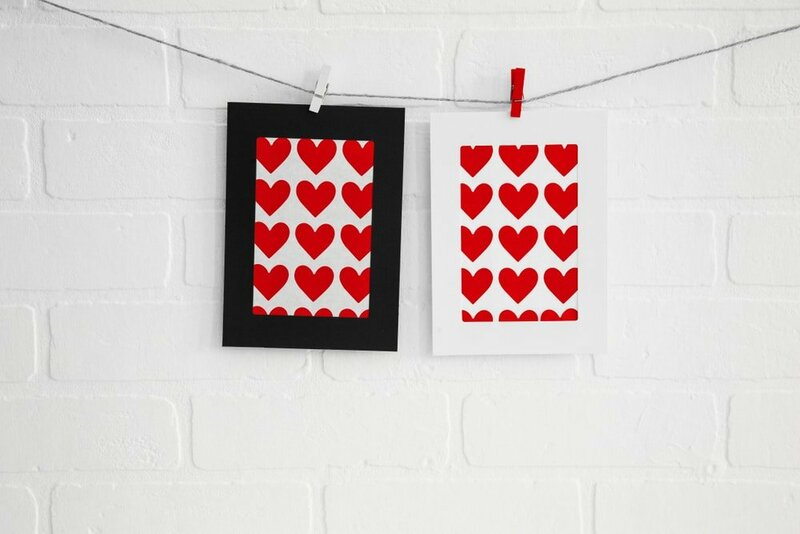 Hearts are playful to use around Valentine’s Day, but you can keep them for longer if you go for a gallery wall of frames. By emphasizing texture, you can use heart motifs to decorate in a wider range of styles. The natural beauty of this decoration is due to the stylish design of the material. You can fit the heart pictured here in lots of styles including a modern farmhouse theme. Play with different materials to discover the right fit for any particular design style. For example, metal hearts will look right at home in an industrial home. Just a simple decoration with a heart outline would look ideal in a minimalist room. Natural textures allow hearts to be used as decorations in a more versatile manner. 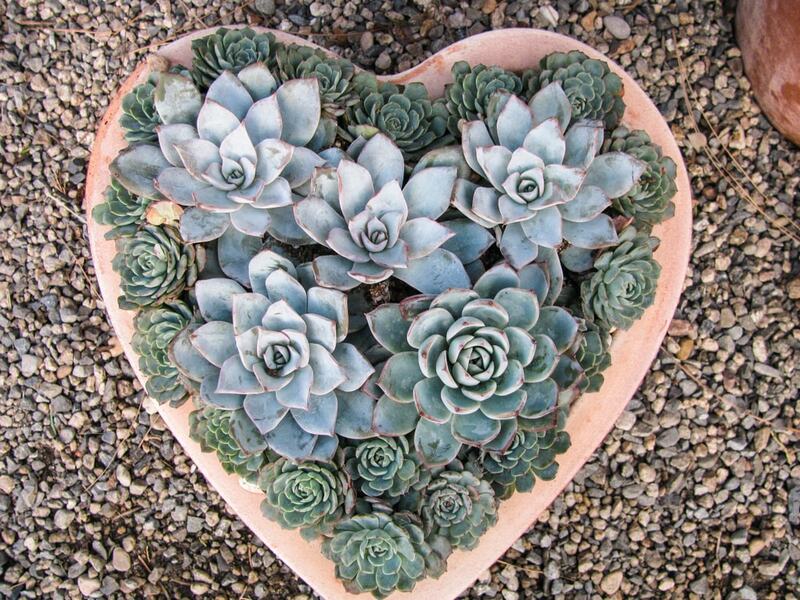 Using hearts in the garden can be a nice touch if you’re a plant lover. This heart-shaped planter is a neat example as it fulfills an aesthetic role aside from the functional one. Given how Valentine’s Day falls in a cold time of the year, you can focus on heart decorations for your house plants. This is another solid idea that allows you to use heart decorations on a year-round basis. 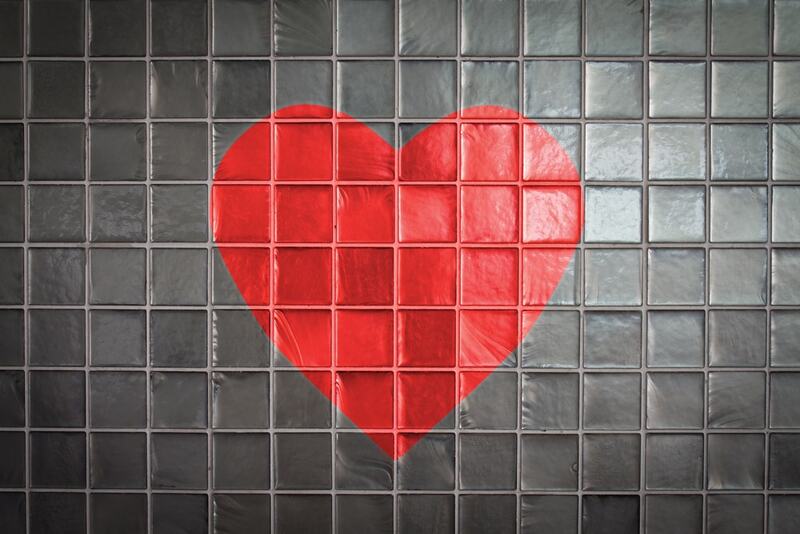 Crafting a tile wall with a heart shape can make quite a statement for any room. The visual impact depends on the colors used as a more powerful contrast definitely seems bolder. Go for neutral colors if you wish to keep a modern design while still maintaining a beautiful focal point in the room. The tile heart decoration can fit nicely in the bathroom, but it might feel appropriate for other places as well, such as the kitchen backsplash or the floor. If your house seems in need of some lovely decorations, try this DIY project that involves making some fabric hearts. It could be the perfect solution to get ready for Valentine’s Day. 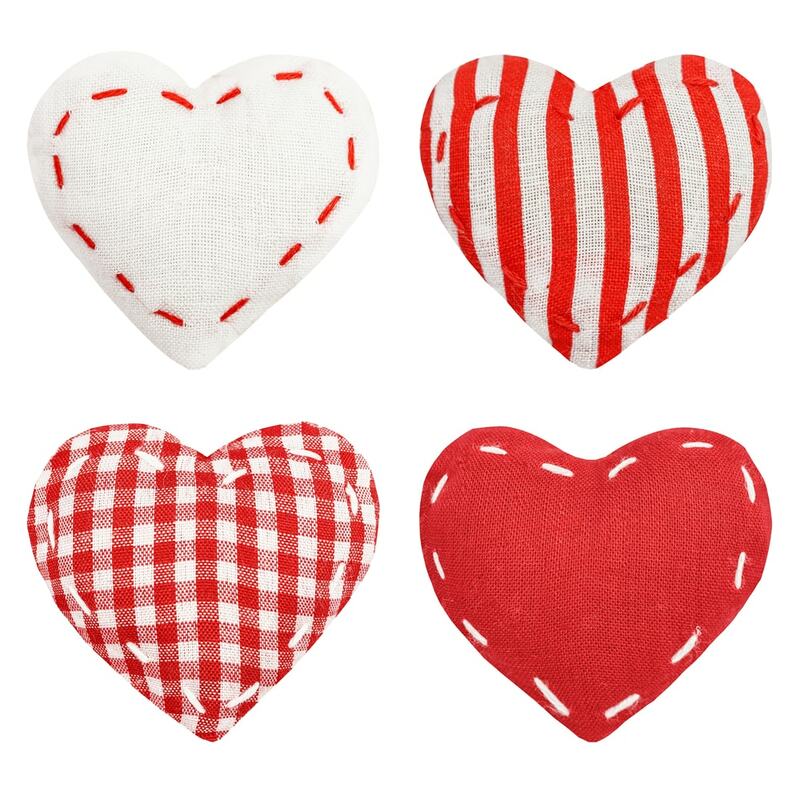 There’s no need to use a sewing machine for these hearts as they can be easily handcrafted. To create a more interesting look, it’s recommended to incorporate a varied assortment of fabrics. 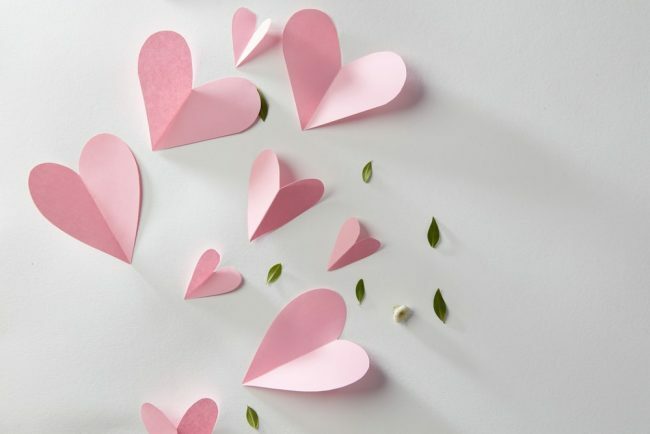 Paper hearts are fairly simple to make and their design can make the atmosphere in the room more pleasant. It’s also fun to put some effort into creating something with your own hands. If you’re looking to give your partner a more thoughtful gift for Valentine’s Day, this decoration can also be a good solution. Garlands represent classic choices to decorate any type of event. 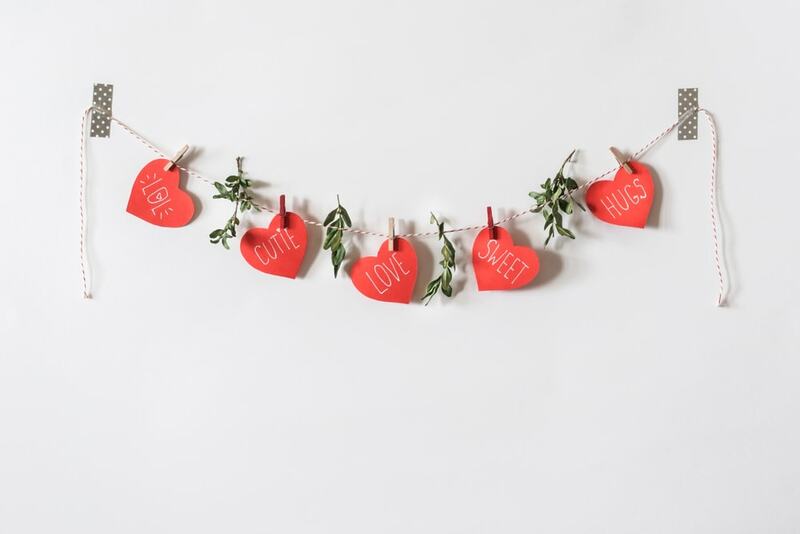 Whether it’s for Valentine’s Day or simply to add a lovely touch to a wall, consider crafting a decorative heart garland. It takes a minimum of effort and it’s a fairly inexpensive project. The great part is that you can also include some more personalized messages on the hearts to show off your love. Making the atmosphere more seductive is easy with the help of candles. 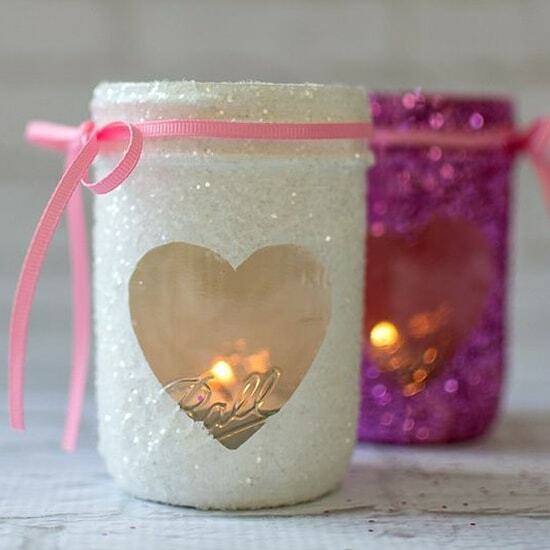 Give some mason jars that contain candles a romantic makeover by using a heart stencil. To create a truly stylish decoration, consider adding some sparkly glitter or spray paint around the heart shape. When it comes to Valentine’s Day decorations, one area that can be often overlooked is the dining table. Show off your love with some romantic paint designs and create a personalized mug. 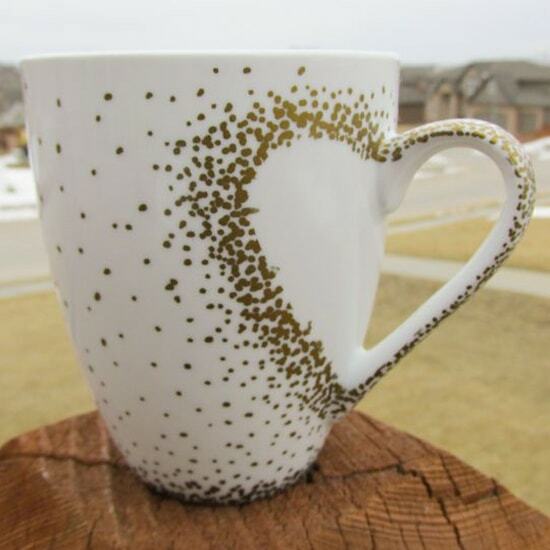 This is easy to do as you only need a fitting white mug and ceramic pens that can be used to add glittery heart shapes. Heart shapes represent universal symbols of love and you can take advantage of this lovely design when you wish to craft a unique Valentine’s Day gift. Add your favorite romantic words and love notes and cluster them in a heart to show off your love. 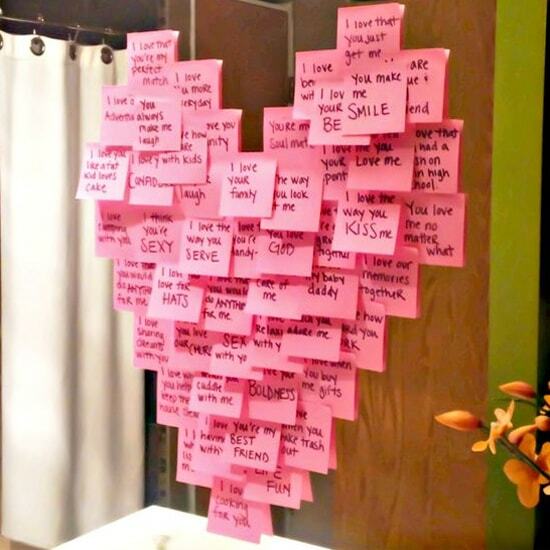 Make sure you select the right spot when placing this heart made up of notes to have the most impressive effect on your partner. 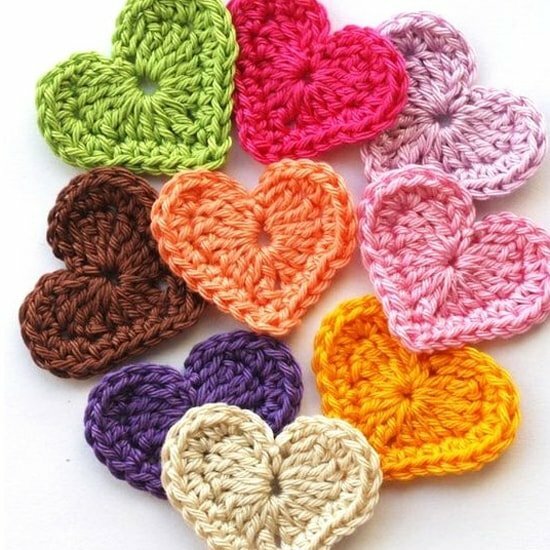 If knitting is your hobby, that can be used as a great opportunity to craft some memorable heart decorations. Knitted hearts can be used in multiple ways and you can surprise your partner by pairing it with a card decoration. 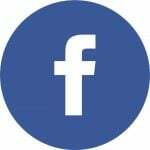 There are also multiple color options to use for a customized look. 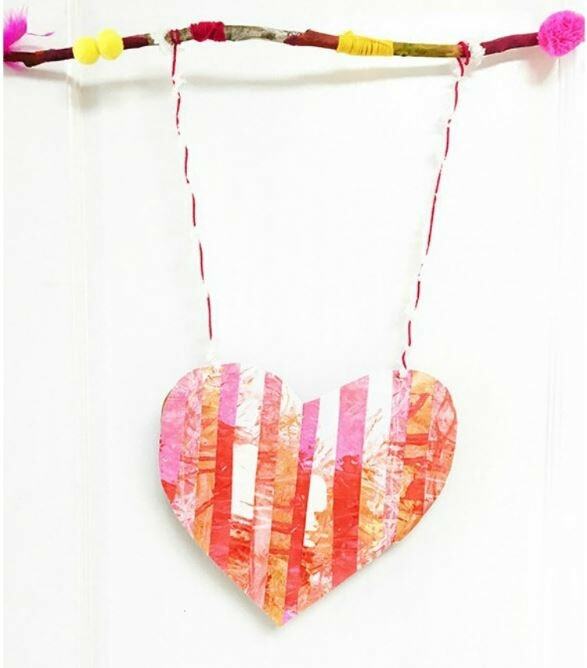 Put your creativity to work with this great DIY project where you combine painting with crafting to obtain a stylish heart wall hanging. The artwork on this heart has been painted with the help of dried spaghetti brushes. Use a simple stick and yarn to create an embellished decoration that adds a splash of color anywhere it’s placed. Hearts can have a welcoming effect on your porch, especially if you surprise your partner on Valentine’s Day with this kind of romantic decoration. 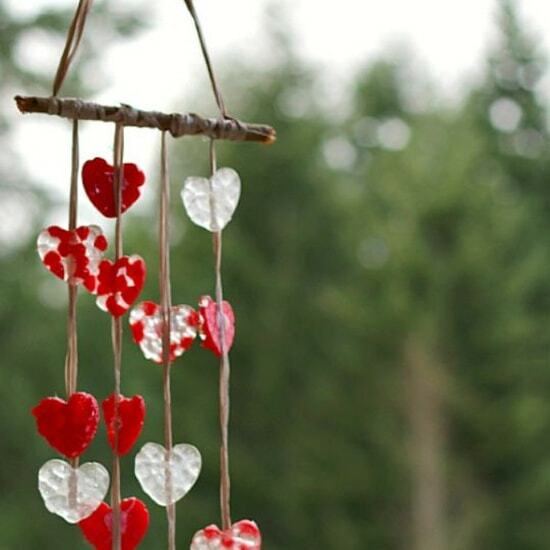 This wind chime incorporates various little hearts arranged on a string. You can now enjoy a pleasant visual effect aside from the chime you can hear when the wind sways.